The charm and character of a stately Victorian home fully renovated and insulated. Beautifully updated to all of today's amenities; featuring hardwood floors throughout, high ceilings, and bright, spacious interior. Situated on 3/4 of an acre of manicured grounds, with large wrap-around porch, detached shed for outdoor storage, and custom stone wall. 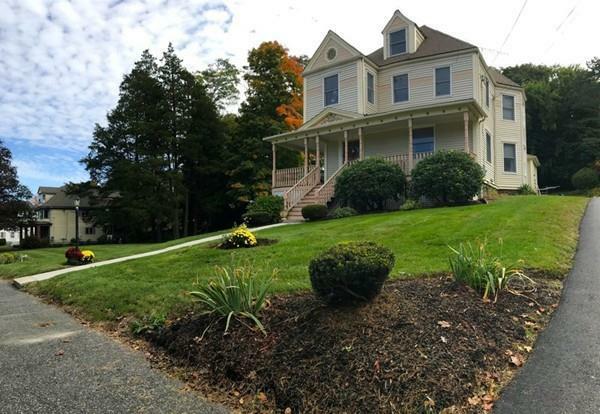 Conveniently located near Hopedale schools, town center, and town park. Spacious and updated kitchen featuring cherry cabinets, granite counters, and a large, sunny dining area. Home has been lovingly cared for and updated over the last 30 years; most recent updates include: gas heat conversion, kitchen appliances, and master bathroom with whirlpool tub. Listing courtesy of Risea Lawrence of Rocket Homes Real Estate, Llc. Energy Features Attic Vent Elec. Listing provided courtesy of Risea Lawrence of Rocket Homes Real Estate, Llc.